It girl Daisy Lowe in tribal war paint might be the defining moment of Vivienne Westwood Red Label's Spring/Summer 2011 presentation at London Fashion Week, but tucked amidst the sea of disheveled Madras-plaid shirtdresses, lightweight tweed suit-separates, and glittery cigarette pants was an unassuming Dame-approved accessory that few among us couldn't afford: A reusable water bottle that Westwood designed for SIGG. Few palate cleansers are as refreshing as plain ol’ H2O, so perhaps that’s what legendary designer Vivienne Westwood had in mind when she designed a limited-edition reusable bottle with SIGG for her Fashion Week guests. 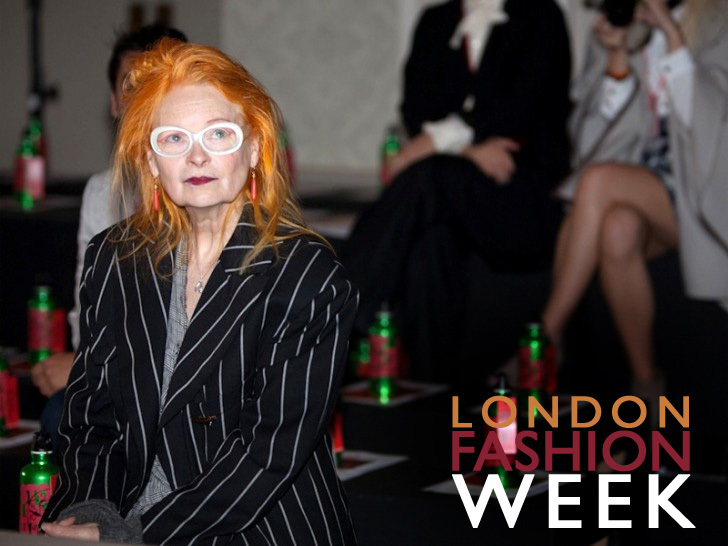 Unveiled at the Spring/Summer 2011 presentation of Vivienne Westwood Red Label at London Fashion Week, the bottle is the third and final design in the Westwood’s SIGG series. The godmother of punk's third collaboration with the Swiss manufacturer, the limited-edition bottle was distributed backstage, as well as to guests at Westwood's Milan, London, and Paris shows. This third bottle is the final in a series of three exclusive designs for 2010, which were all launched to coincide with the main fashion shows in February, June, and September. Emblazoned on the bottle is a call to stop climate change, one of Westwood's pet causes. 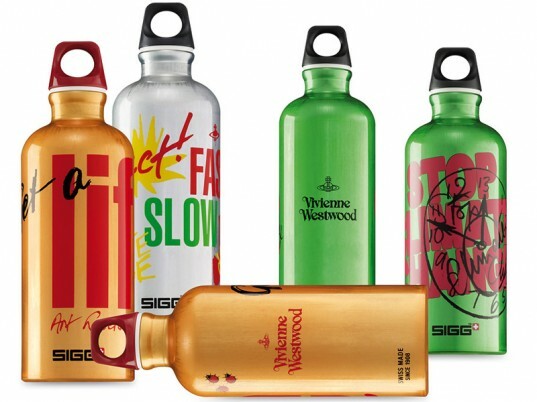 SIGG partnered with Westwood to raise awareness about the environmental cost of disposable water bottles, although the fallout from its BPA scandal last year has taken the shine off its once-pristine reputation. Each aluminum bottle is branded with Westwood's iconic label. The environmental and political activist made a case for rallying against status quo. "We are dangerously without culture," she said after her London show. "And that is why we are in the mess we are in because nobody is thinking."